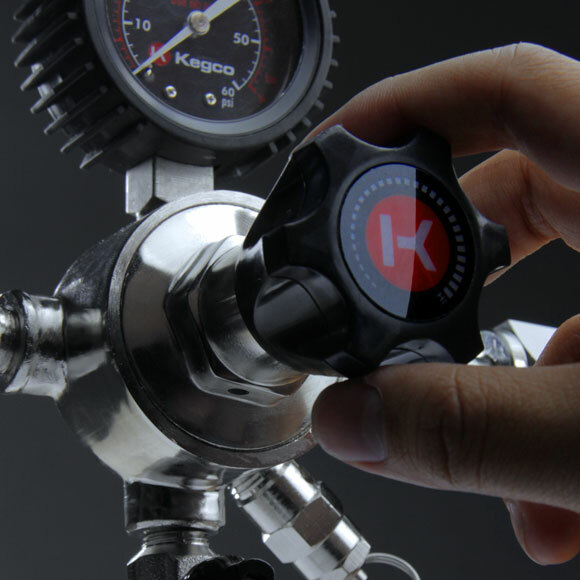 Kegco's LHU5S-2 Elite Series Two Product Secondary CO2 Draft Beer Regulator has a bold design with elite functionality. Secondary regulators are used when you are attempting to dispense two or more kegs off of the same CO2 tank at different pressures. 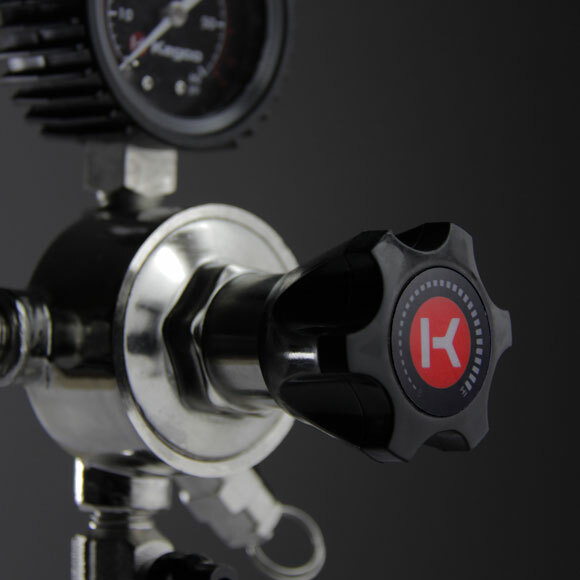 This secondary regulator has two manual pressure release valves and internal pressure relief valves that release pressure at 55-65 PSI, two large pressure adjustment knobs, and two brackets that allow it to be mounted to a wall or the inside of the keg refrigerator. In order to use this secondary regulator, you will still need a primary regulator with one output that connects to the secondary using a piece of air line. The LHU5S-2 has two 5/16" barbs and two gauges that indicates how much CO2 pressure is inside of each keg. This regulator's sophisticated design boasts two bold black gauges with high-contrast red and white text that is both stylish and easy to read. Two matching black plastic handles and black shut-off knobs add to the sleek look. 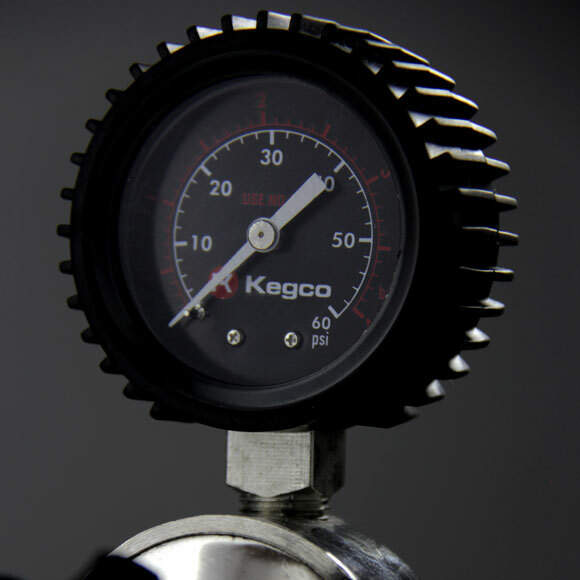 Two large ergonomic adjustment knobs give you the power to make precise pressure adjustments with ease, between 0-60 PSI.